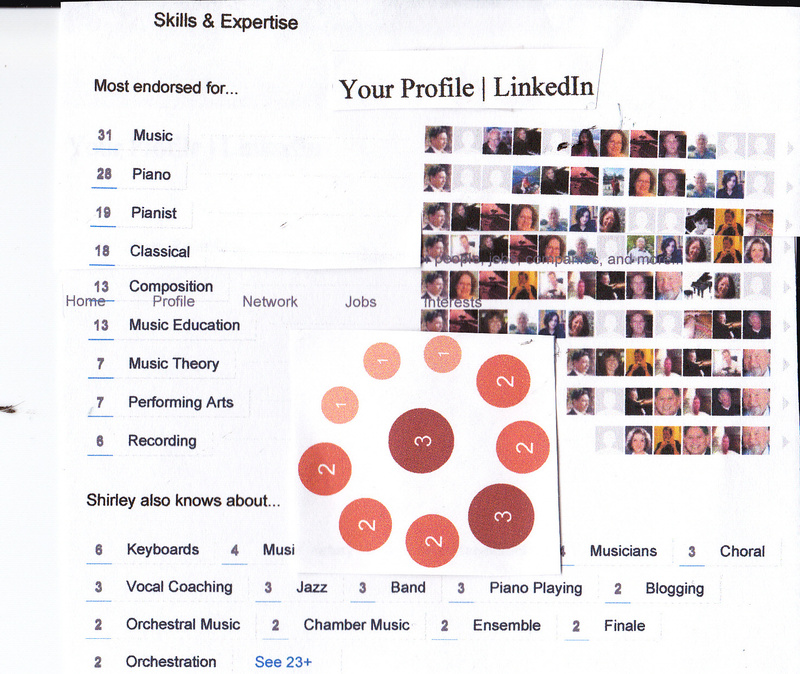 After a major workout at the gym this afternoon, I sat down at my computer, flooded by waves of LinkedIn “endorsements.” A new gush of approbations encompassed bird-watching, percussion, band conducting, coin-collecting, baby-sitting and chess-playing. Was I in the midst of a mega makeover? For my former Amtrak train buddy, “Tim,” who’d spent the better part of 3 hours troubleshooting web problems at Williams-Sonoma.com, I tapped in a “pet-loving” endorsement (after all, he’d raised three cats, two, eaten by coyotes) Another prompt whizzed onto the screen testing my eye hand/coordination skills. Why not mouse click, “knows about jet engine repair.” I’d vaguely remembered Tim having delivered a mega-complex analysis of what happened to the Airbus A320 that crash-landed safely on the Hudson River and how the Canadian geese got stuck in the engine. Oops the “bird-watching” endorsement just evaded me, slipping quickly into the “diaper-changing” universe. Why not go for it, since my traveling companion had often boasted about his new grandson. Surely, he’d aced the skills necessary to keep the infant dry and comfortable. NO sooner than I’d clicked this warm and fuzzy endorsement, another popped up, pertaining to a complete stranger. How did an “Australian Alligator trainer” land in my Network? (Friend? acquaintance? business associate? High School classmate? friend of a friend, employer?) In a mega memory recall effort, I mind-snatched the “connection” to an Aussie Online piano student who had an Engineering degree. Quickly I tapped “knows Calculus” before my computer flashed “media/communications,” and “shrimp farming”–what the heck, it was the thought that counted not whether these latest skills on the rifle range of choices were a perfect fit for the latest in-or-out-of network newcomer. In either case, my “connections” were spiraling out of control while my SQUARE of endorsements was bulging at the seams. My PROFILE PAGE rhombus of skills was surely headed for a fatal blow with a falling dominoes effect! OMG! My NYC High School of Performing Arts Math Teacher, “Shirley Katz,” had just become the latest “connection,” endorsing me for “horseback riding” and “pizza-pie-making.” True, I’d aced the Intermediate Algebra Regents, which nourished my skills to carefully measure out cups and half-cups of flour; teaspoons and tablespoons of olive oil, but I hadn’t saddled up on a horse since I was 6 at the Van Cortlandt Park Bronx Riding Academy. And I nearly got kicked in the face by a Palomino when I wasn’t looking. Finally, these endorsements gelled with the right person and I was thankfully off the hook. To cut my losses and preserve my gains, I shut down the darn computer and headed for the piano where I felt really CONNECTED! Previous postShould a teacher demonstrate phrasing and interpretation for a student? Next postHeart Attacks and Haydn! You had me in stitches with this post! Keep this in mind if you ever decide to change careers! Glad you had a good laugh, Gina. Enjoyed your feedback. That was the funniest thing, I had to read it twice and I still don’t understand it. You musta had a lot of of fun – and a lot of coffee. Way to go. Wonder what happened to my reply. Yes it was the Starbucks boost at BART.. A coffee HIGH.. perhaps over the top. OMG so glad I’ve not fallen for the come-on to endorse someone. You put a really funny spin on the whole nonsense. And you have my endorsement as a humorist. Thanks, Irma, Hope you, Mark and Tony, the birthday boy, had a blast! It gets even funnier by the HOUR. Hope you had a blast of a birthday celebration for Tony. My best wishes and may he get a gold record.. Ooops wrong century.. This gets even more entertaining, ADD FILM SCORING to my list of endorsements.. ????? I just checked. Other: As you know, I have my Steinway upright on sale with national exposure on Piano Mart, and locals, Craigs List SF Bay, and FB Market Berkeley. After my humor spree, I spotted an email through C.L. (NJ area code phone listed, with a brief message from a man, name given, that my piano would be just perfect for his daughter. Would I consider a cross country sale) Sounded like a scam from the get go. But to be sure, I Googled the NAME and noted FIVE LINKEDin profiles attached. One of these traced to the East Coast—but not exactly corresponding to the the area code supplied. It was a NYC media exec. Perhaps he worked in Manhattan and lived in Joisey. NO problem. But the Joisey phone traced to JOISEY City according to my research which sent me scampering over to WIKI for the 2010 city census (demographics, income, etc) No sooner, I decided to fire off a CONNECTION request. What the heck, 3/4 of my Connections were complete OUT OF NETWORK strangers. No big deal! So I clicked “colleague,” a bit of a stretch, inserting a message about the piano–“did you email me yesterday about my Steinway?”. 12 hours fly by, and I’m checking LinkedIn ONCE again. (How can I avoid connections generating like fruit flies) And there, A NEW CONNECTION is confirmed with a LINKEDIn ” CONGRATULATIONS!” No claimer or disclaimer about the piano! Typical! Most connections are on automatic pilot.